Tomohiro Nishikado’s space invaders have captivated and entertained many throughout the years since the creation of the original Space Invaders game in 1978. Space Invaders became the first fixed shooter game and one of the first shoot ’em up games to hit arcades throughout Japan and The United States. Now arcade game enthusiasts of all ages can enjoy all the same joy that the original Space Invaders brought to the arcade universe but in a larger than life way. 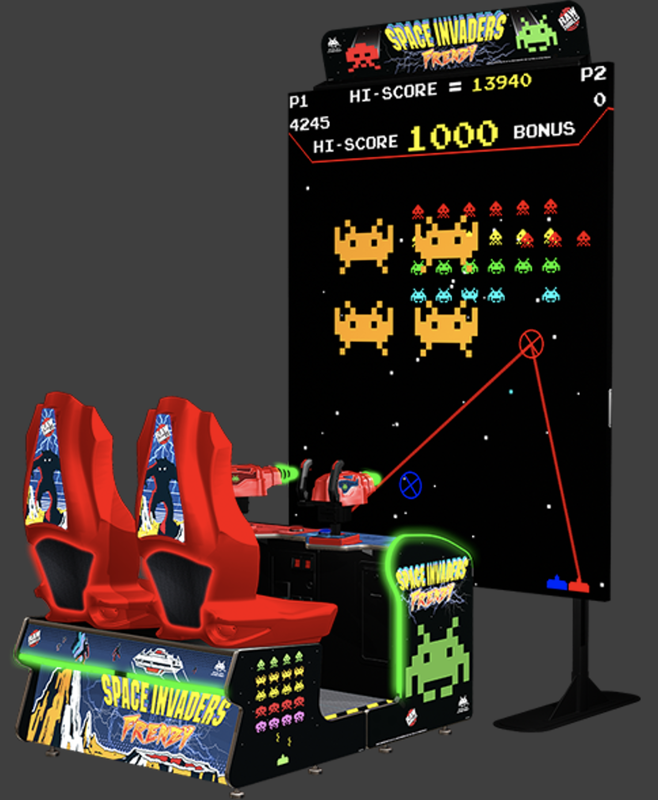 The giant Spacer Invaders arcade game allows for two players to strap in and take off on an intergalactic mission. Both seats are equipped with sub-woofers that rumble and provide heavy bass for explosions and special effects. Instead of the original gameplay of a tiny arcade screen, players can now play Space Invaders on an 8ft tall screen outfitted with 65,000 colorful LED lights for the best gaming display an arcade has ever seen. The giant Space Invaders arcade game is perfect for solo missions or head to head competitions with other players seeing who can rack up the best score. 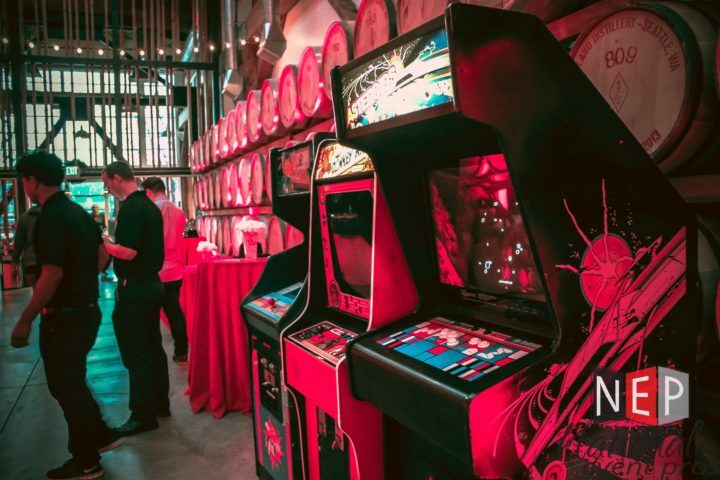 The giant Space Invaders arcade game along with the rest of the arcade games in our rental catalog can even be outfitted in custom branding for any pop-up shop or event. Want to bring the entire arcade to the event? 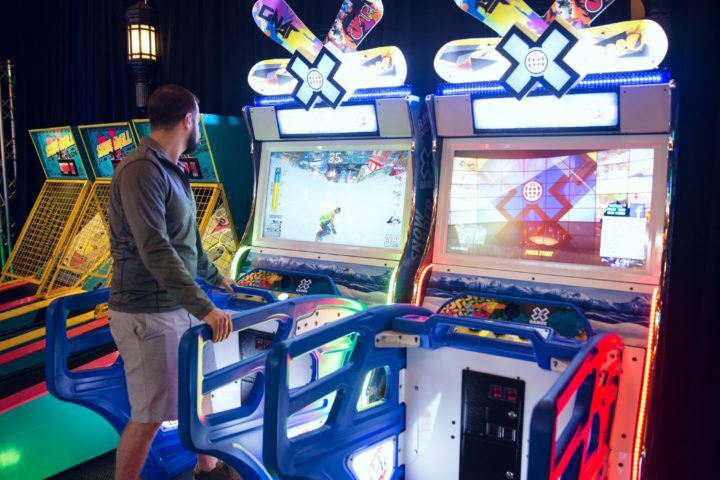 Build a custom pop-up arcade or gaming lounge with any of the arcade games, giant games, virtual reality rentals, and LED gaming and lounge rentals. Create a customized prize booth with prizes of all kinds including branded merch or gift bags.